Is your group up for a challenge? 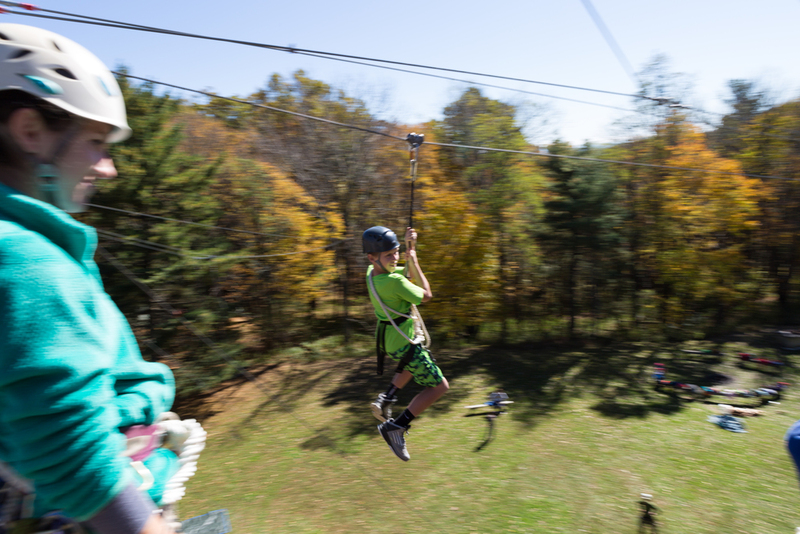 Our High Ropes programs are designed for groups that are looking to step outside of their comfort zones and try something new in a supportive atmosphere. Our facilitators will greet your group and start with a fun Ice-Breaker. This is an opportunity to get to know your facilitators. Your experience will be front loaded with expectations, and your specific goals will be presented to the group. You will be geared up in harnesses and helmets, and then our facilitators will lead you through Ground School in preparation to get on the course and in the air. In Ground School, the group will learn about their equipment and the process for making transfers on the course. Our facilitators will take the time to get your group comfortable with the gear and ready to take on the course. We will spend time on each level of the course, experiencing different challenges together. The group will then have the choice to exit the course by flight...zip lining! Once your group has exited the course, the facilitators will spend time debriefing with your group and discussing the pursuit of their goals.